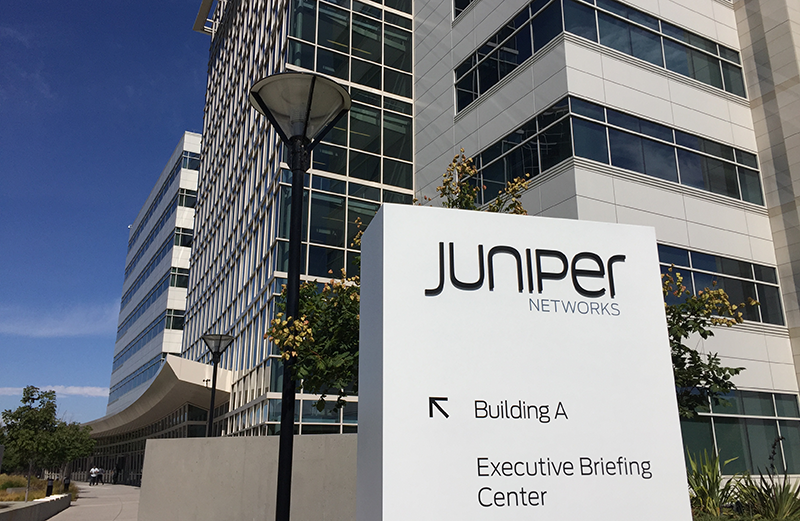 Juniper Networks and Ericsson are expanding their 18-year partnership with Ericsson with a focus on delivering an end-to-end 5G solution that combines Juniper’s routing and IP transport with Ericsson’s Router 6000 and MINI-LINK microwave portfolio for distributed, centralized and virtualized radio access. The companies are now offering a 5G transport network solution with single pane of glass visibility to manage the new requirements of next-generation mobile service delivery. For the go-to-market strategy, Ericsson will include Juniper’s solutions for edge, core and security as part of its end-to-end 5G transport portfolio. Juniper’s MX and PTX Series support mobile infrastructure for 10G/100G/400G optical transport, simplified operations with Juniper’s unique universal design, advanced Junos OS software functionality including Junos Node Slicing, Juniper Telemetry Interfaces and an open, standards-based hardware-accelerated 5G CUPS User Plane. Juniper’s MX Series 5G Universal Routing Platform . Ericsson’s management and orchestration solution will be applied across Ericsson and Juniper products, which will be fully integrated, including full FCAPS support. “Commercial 5G is expected to represent close to a quarter of all global network traffic in the next five years. With both companies bringing together industry-leading network technology, Juniper and Ericsson will be able to more effectively capitalize on the immense global market opportunity in front of us and help our customers simplify their journey to fully operational 5G networks,” stated Manoj Leelanivas, Chief Product Officer, Juniper Networks. “By combining Ericsson’s leading transport portfolio with Juniper’s best-in-class edge, core and security portfolio, we will create an end-to-end transport offering that is ready for all the demands of next-generation networks. Our customers will benefit from the one-stop-shop approach, making it easier for them to build and operate high-performing 5G networks,” stated Nishant Batra, Head of Product Area Networks, Ericsson. ECI announced a business and technology partnership under which its optical transport solutions will be integrated into Ericsson’s mobile transport offering. ECI said the partnership is a result of previous collaboration and follows a thorough process of due diligence. The decision was further solidified by a number of joint wins in Denmark, Greece, USA and Brazil. The companies cited a growing pipeline of new opportunities worldwide. ECI’s packet/optical solutions provide a scalable transport solution for radio access network (RAN) to core connectivity, offering an optimized feature set for mobile backhaul, environmentally hardened for any condition as required. ECI’s programmable transport products enable operators to tailor connectivity based on the use case or service profile, via network slicing. Moreover, ECI’s implementation of open APIs, interfaces and SDN controllability ensure full functionality in the Ericsson ecosystem. 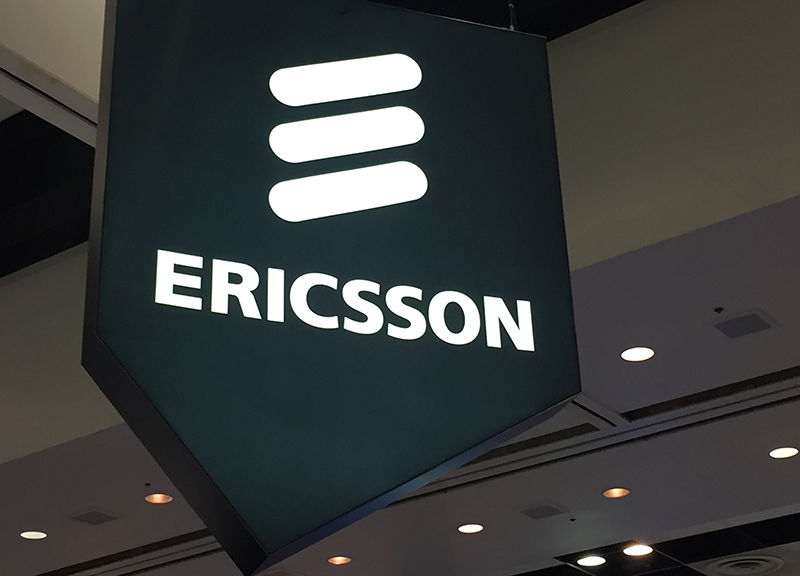 The ECI optical solutions will be integrated into Ericsson’s end-to-end mobile transport solutions, supporting 5G and IoT use case introductions. “Telecommunications networks are changing faster than ever before with the new functionalities and demands brought on by 5G. 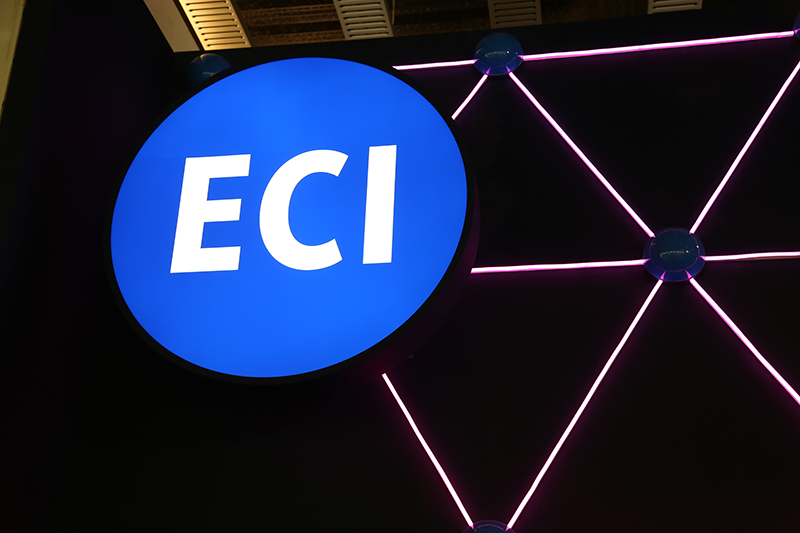 ECI’s open, elastic solutions are designed for the changing, more complex demands and complement Ericsson’s offering perfectly. This partnership will enable both parties to address a growing customer base with a more competitive and comprehensive offering,” said Darryl Edwards, CEO and president of ECI. Ericsson's management and orchestration solution for 5G will extend across the radio, transport and core network, including elements provided by Juniper Networks and ECI Telecom, enabling automated network control for applications such as network slicing and traffic optimization. Ericsson said alignment between the radio, core and transport layers of the network has never been more critical to meet the requirements of 5G use cases such as enhanced mobile broadband, fixed-wireless access, and massive and critical IoT. The company also noted that its flagship mobile backhaul product – Ericsson Router 6000 – empowers close to 60 operators. More than 110 operators also use Ericsson’s 5G-ready microwave technology, MINI-LINK solutions. 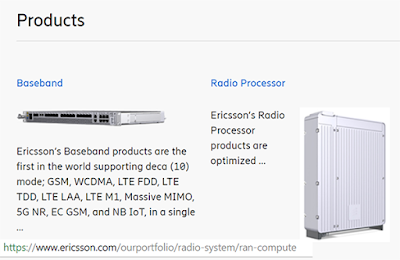 Ericsson introduced new radio access networks (RAN) hardware and software products including a new RAN Compute portfolio and Spectrum Sharing software. 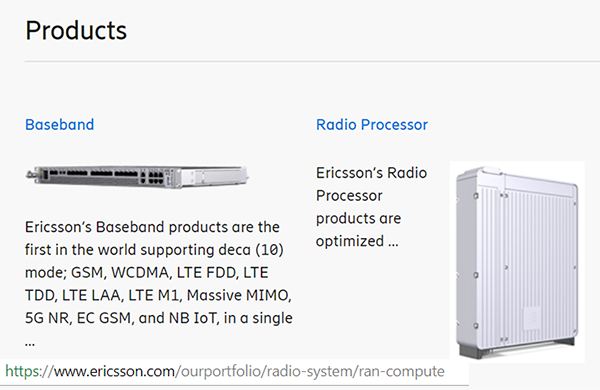 Ericsson RAN Compute is an architecture for distributing processor-intense functions – such as beamforming and radio control – where needed to fine-tune use case performance while lowering total cost of ownership by leveraging cloud resources. The RAN Compute portfolio includes all the current basebands in addition to four new RAN Compute products that provide up to three times the capacity of current basebands. Two new RAN Compute Basebands enable service providers to deploy RAN functions centrally, or at the radio site, while two new RAN Compute Radio Processors enable RAN functions to be placed closer to the radio for enhanced mobile broadband, ultra-low latency applications while reducing site footprint. Ericsson Spectrum Sharing offers simultaneous and dynamic support of 4G and 5G within the same spectrum band using the Ericsson Radio System. The new functionality can be implemented through a remote software installation on Ericsson Radio System radios shipped since 2015. This enables operators to deliver nationwide 5G coverage with a much more flexible spectrum migration strategy – removing the need for dedicating existing 4G spectrum assets to 5G statically, which would negatively impact 4G performance. Ericsson said this solution is based on the 3GPP Rel 15 standard and simplifies adoption by 5G device manufacturers. “Qualcomm is committed to smartphone based commercialization of 3GPP Rel-15 5G NR technology in first half of 2019. 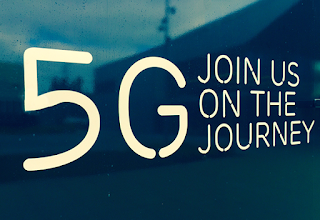 As a part of 5G commercial deployments happening at scale, we welcome 3GPP Rel-15 based Ericsson Spectrum Sharing as a technology enabler in expanding the commercial rollout of 5G to bands that are currently used by 4G,” stated Durga Malladi, Senior Vice President, Engineering and General Manager, Qualcomm Technologies. Ensemble, a division of ADVA, launched a major new release of its network functions virtualization (NFV) platform with a focus on reducing deployment and operations complexity for network operators. The suite includes the Ensemble Orchestrator, Ensemble Director, Ensemble Connector. New management and orchestration (MANO) capabilities enable service providers to roll out secure virtualized services at scale by using pre-packaged designs. Better design simplifies integration into higher level OSS, BSS or portal systems, which leads to faster deployment of services at scale with less-trained staff. The company said the new capabilities were developed alongside Tier 1 customers in direct response to their requirements and the need to address security and complexity challenges. The new MANO features include multi-layer security, simplified management of NFV infrastructure (NFVI) and service chain creation, visibility, monitoring and troubleshooting. The latest release is based on three years of real-world experience enabling companies to deploy and manage software-based, cloud-native solutions. "Our Ensemble solutions are successfully deployed in major networks across the globe. Now, we're taking the agility and efficiency of cloud-centric service provision to the next level. We're well beyond simply making NFV work. With the new functionality of our Ensemble portfolio, we're empowering our customers to deploy and manage virtual network functions (VNFs) at scale," said Prayson Pate, CTO, Ensemble division, ADVA. "From day one, we've been ahead of the curve when it comes to delivering the promise of NFV. While others have spent the last three years theorizing and testing, we've been empowering leading global service providers to deliver agile, cost-efficient virtualized offerings." The ability to provide Day 0 configuration of VNFs. The ability to resolve problems related to operating uCPE deployments at scale, such as a single IP address for management and in-service software upgrades with reversion. Multi-layered approach to security helps operators tackle vulnerabilities, and it provides software-based encryption that can be combined with VNFs. User-friendly information on service chain operations as well as virtualization tools for analysis and troubleshooting. Zero touch provisioning capabilities remove the need for user intervention and replace truck rolls and on-site technicians with automation. This empowers an operator to ship an unconfigured COTS server to a customer site and commission it automatically. LTE wireless support: Enables turn-up of sites that don’t yet have wireline connectivity, as well as providing an economical means of resilient access. Scalable software -- from small Intel Atom servers, up to large Xeon-based blade servers. Upcoming support for ARM servers. "The team at ADVA's Ensemble division understands our NFV strategy and shares our drive to empower customers through sophisticated cloud-based services. The new Ensemble release makes deploying and managing VNFs and the NFV infrastructure simpler, quicker and more secure," commented Mirko Voltolini, head of Network On Demand, Colt Technology Services. "The latest enhancements help us build service chains on demand and safeguard our customers' networks with additional security controls. One of the Ensemble suite's recently added capabilities is zero touch provisioning. That ability to ship unconfigured COTS servers to customers and commission them automatically gives us a key advantage. Not only does it generate significant cost savings but it also simplifies and accelerates service activation." 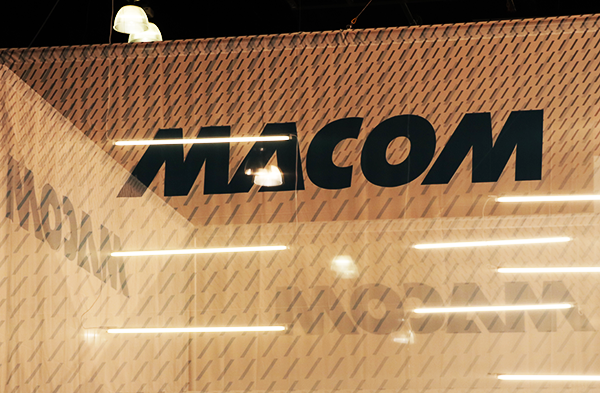 MACOM Technology Solutions introduced an integrated, single-chip transmit and receive solution for short reach 100G optical transceivers, active optical cables (AOCs) and onboard optical engines. The new MALD-37845 device, which is designed for use in CPRI, 100G Ethernet, 32G Fibre Channel and 100G EDR InfiniBand applications, integrates seamless integration of four-channel Transmit and Receive Clock Data Recovery (CDRs), four Transimpedance Amplifiers (TIAs) and four Vertical-Cavity Surface-Emitting Laser (VSCEL) drivers. It supports a full range of data rates from 24.3 to 28.1 Gbps, it supports interoperability with a variety of VCSEL lasers and photodetectors, and is firmware-compatible with earlier-generation MACOM solutions. Sampling is underway with production availability planned for the first half of 2019. MACOM said the device will provide customers with a low power, single-chip solution ideally suited for small form-factor optical subassemblies. Distributed and virtualized: reduces distance between the device generating the data and the IoT application processing it; nodes are distributed right to the enterprise premise, if necessary, to support specific security, privacy and latency requirements. Service assurance for all IoT elements and enterprise locations, including network operations center monitoring, service resource fulfillment, cloud orchestration management and application management. "We are combining our IoT strategy with Ericsson's expertise to build a platform primed for the most demanding applications like artificial intelligence, edge computing, robotics, autonomous vehicles and more with ultra-low-latency, the highest availability and an unmatched level of security at the chip level," said Ivo Rook, senior vice president of IoT for Sprint. "This is a network built for software and it's ready for 5G. Our IoT platform is for those companies, large and small, that are creating the immediate economy." "Sprint is a pioneer in IoT and we are excited to work together to create a truly disruptive IoT business," said Asa Tamsons, senior vice president and head of business area technology & emerging business, Ericsson. "Sprint will be one of the first to market with a distributed core network and operating system built especially for IoT and powered by Ericsson's IoT Accelerator platform. Our goal is to make it easy for Sprint and their customers to access and use connected intelligence, enabling instant and actionable insights for a better customer experience and maximum value." 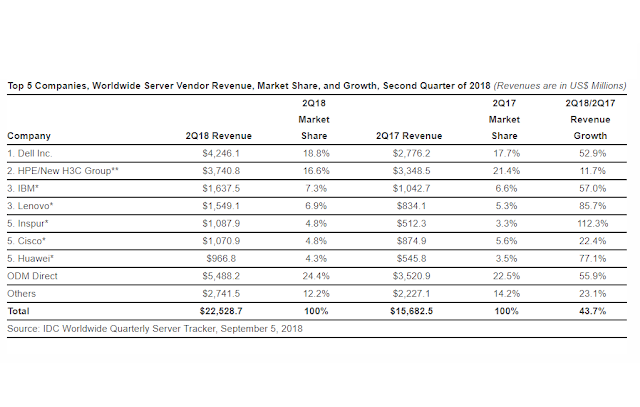 Vendor revenue in the worldwide server market increased 43.7%, year over year to $22.5 billion during Q2 2018, according to the newly updated International Data Corporation (IDC) Worldwide Quarterly Server Tracker. Worldwide server shipments increased 20.5% year over year to 2.9 million units in 2Q18. Worldwide server shipments increased 20.5% year over year to 2.9 million units in 2Q18. Q2 Mwas the fourth consecutive quarter of double digit revenue growth and the highest total revenue ever for the server business. Volume server revenue increased by 42.7% to $18.4 billion, while midrange server revenue grew 63.0% to $2.5 billion. High-end systems grew 30.4% to $1.7 billion. "The worldwide server market continues to flourish amid a market-wide enterprise refresh cycle and increasing demand from cloud service providers," said Sanjay Medvitz, senior research analyst, Servers and Storage at IDC. "Enterprises continue to invest in new infrastructure to support next-generation applications and achieve cloud-like benefits on premise. Hyperscalers also continue to update and expand their data center presence, benefiting ODM Direct suppliers. Server revenue growth has also been driven by increasing average selling prices (ASPs). This is due to richer configurations, DRAM prices, and new processor platforms." Dell achieved the number one position in the worldwide server market for the first time in 2Q18 with 18.8% revenue share and 52.9% growth. HPE/New H3C Group was the second largest supplier with 16.6% share of total vendor revenue, growing 11.7%. IBM and Lenovo were statistically tied for third position in the market with respective shares of 7.3% and 6.9%. Inspur, Cisco, and Huawei rounded out the top five, all statistically tied with 4.8%, 4.8%, and 4.3% respective shares of vendor revenue. The ODM Direct group of vendors increased its collective revenue by 55.9% (year over year) to $5.5 billion. Dell Inc. led the worldwide server market in terms of unit shipments, accounting for 19.5% of all units shipped during the quarter. Construction of the South Atlantic Inter Link (SAIL) subsea cable between Cameroon and Brazil has been completed. The 6,000 km subsea cable was installed by Huawei Marine Networks. It follows a direct path from Kribi (Cameroon) to Fortaleza (Brazil). The system features a 4 fiber pair configuration supporting 100G wavelengths for a total capacity of 32 Tbps. 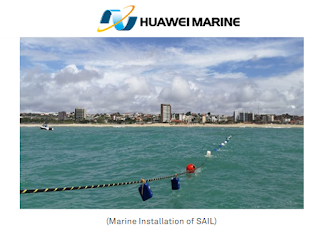 The SAIL consortium is a joint investment by China Unicom (with its wholly-owned subsidiary, China Unicom do Brasil Telecomunicacoes Ltda) and CAMTEL. Ciena agreed to acquire privately-held DonRiver, a global software and services company specializing in federated network and service inventory management solutions within the service provider Operational Support Systems (OSS) environment. Financial terms were not disclosed. DonRiver, which is based in Austin, offers an OSS Federation platform that allows CSPs the ability to federate data from multiple OSS systems and present it in a single user interface. The company was co-founded in 2006 by Kent McNeil and John McVey. Ciena said the DonRiver acquisition will bring new capabilities to its Blue Planet software and services portfolio, enhancing its ability to deliver on its Adaptive Network vision through intelligent, closed-loop automation. Specifically, DonRiver’s OSS Federation and service inventory management solutions will extend Blue Planet capabilities by providing a unified inventory view of all elements across a provider’s network. Additionally, the DonRiver team of specialized OSS software, integration and consulting experts will complement and scale the Blue Planet organization to form a truly unique and specialized services group that is able to manage modernization projects across both IT and network operations. Calix has moved its global headquarters to San Jose, California. The previous location was Petaluma, California. The new 65,000 square foot facility, located at 2777 Orchard Parkway, will include a state-of-the-art briefing center for customers and partners. It will also include technology demonstration space and a video production studio that will enable the Calix team to showcase the latest platform solutions. 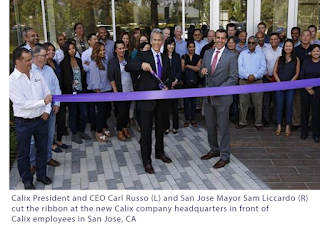 In addition, Calix employees will benefit from an open and collaborative workspace, allowing teams to easily engage and drive innovation at a DevOps pace.